• Brighten your customer's day. 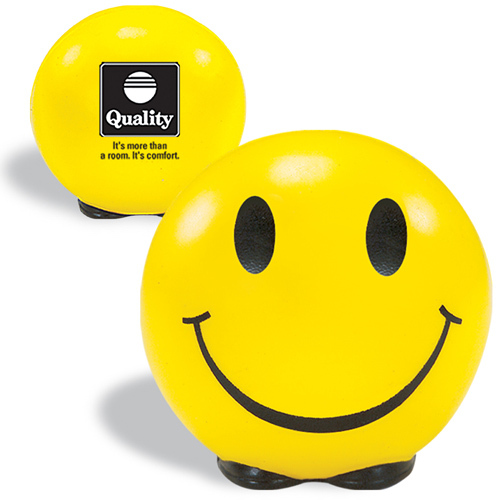 • Friendly Face Stress Ball is made of polyurethane. • Each stress ball is molded by hand, so each one offers a slightly different degree of hardness. • This copyrighted design is sure help you stress. • A great giveaway for trade shows, job well done, or new product promotion. Bulk / 24 lbs / 225 pcs. / 14 x 18 x 16box.